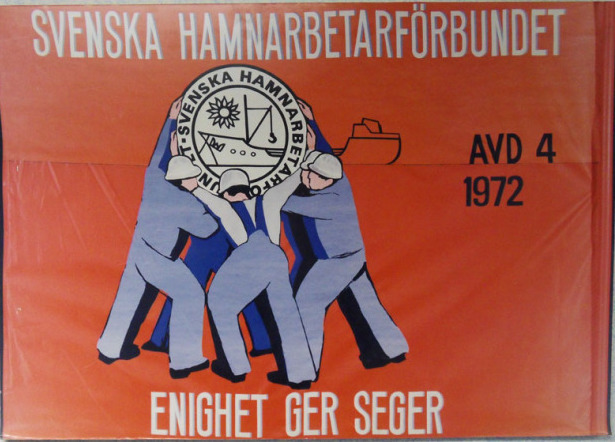 The Swedish Dockworkers’ Union (SDU), or Svenska Hamnarbetarförbundet (HAMN) in Swedish, has been shaped by decades of rank and file dockworkers’ rebellion, bureaucratic expulsions from a general transport union and a long history of international solidarity. For decades, Swedish dockworkers were members of the Swedish Transport Workers Union (STWU, known in Sweden as the Svenska Transportarbetareförbundet or simply Transport). But from the 1950s, the increasingly rebellious and militant nature of Swedish dockers ran into the obstacle of the STWU, a union which had become highly bureaucratic and unresponsive to the needs of dockworkers. Dockers grew increasingly angry at the way STWU leaders repeatedly ignored and overruled the opposition of elected dockworker representatives and agreed to sub-standard collective bargaining agreements against their wishes. In 1951, dockworkers in Gothenburg went on strike in opposition to the STWU plans to accept the employer’s compromise agreement. STWU leaders then put a new agreement to an ‘advisory’ vote that was ‘non binding’ on the leadership. Dockers later discovered that this was all a charade, as STWU leaders had already signed the agreement before the ‘advisory’ vote was even taken. In 1954, STWU leaders put a draft agreement that had already been rejected by dockworker negotiators to a membership vote. The result was 3366 votes against, 469 in favor and 1654 non-votes. 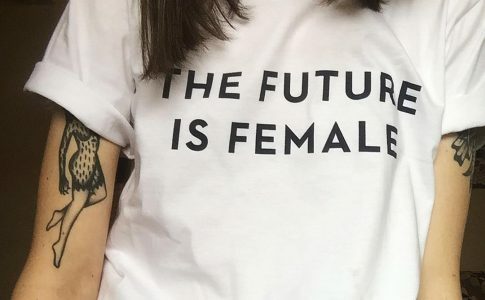 Despite this massive ‘No’ vote, STWU leaders argued that the 1654 non-votes counted as affirmative votes and, as less than a two-thirds majority voted ‘No’, the agreement had in fact been approved. This maneuver triggered a nationwide dock strike which saw ‘illegal’ strikers threatened with expulsion from the union and individual strikers and local STWU dockworker branches fined by the Labor Court. Similarly, despite unanimous rejections by dockworker negotiating delegations of proposed settlements in 1961 and 1966, STWU national leaders again approved sub-standard agreements over the heads of Swedish dockers. For many Swedish dockers, the election of Hans Eriksson as STWU President in 1968 was the last straw. Eriksson soon earned the nickname “Hoffa” after the U.S. Teamsters leader and mobster Jimmy Hoffa. Just like his U.S. counterpart, Eriksson was known for his close friendships with noted employers and his virulent anti-communism. Eriksson was eventually caught holidaying on the Canary Islands of Spain in early 1976 while Swedish unions were boycotting General Franco’s Spain, all with flights and accommodation paid for by Swedish employers. In January 1980 he would be dismissed from all SWTU duties after a dubious loan for an apartment, a lavish 50th birthday party paid for by union funds, and numerous travel allowance irregularities were discovered. As president, Eriksson moved to further bureaucratize and undermine democracy in the STWU at the union’s 1969 Congress. 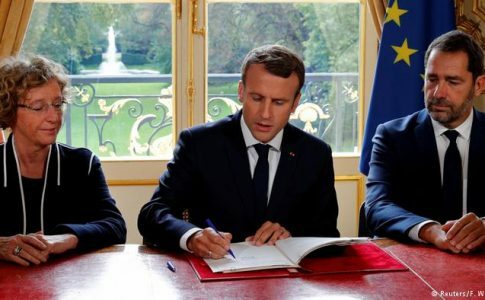 He proposed that local representatives, known as “ombudsmen”, be hired instead of elected by members, that local district structures be replaced by merging them into larger regional structures overseen by appointed ombudsmen, and that most membership meetings be abolished. Eriksson set out to have these new large union departments ready by the end of February 1972. However, northern dockworkers defied these plans and told him that they would keep the existing set up. “Hoffa” responded by expelling fifteen separate departments, with over 1000 members, from the STWU. In November 1972, the excluded, mainly northern, departments of expelled STWU dockers formed the Swedish Dockworkers’ Union (SDU). Other dockworkers from across the country soon joined them. Stockholm dockworkers’ leader Lennart Johnsson had led the fight against expulsions at the STWU’s August 1972 Congress. For his efforts, Eriksson expelled him from the STWU in January 1973 and targeted the STWU dockers branch in Stockholm for dissolution. Over 350 dockers responded by walking out of the STWU and joining the SDU. The STWU was left with only 37 dockworkers in Stockholm. Similar events occurred in Gothenburg. After local dockers leader and Communist Party member Karl Hallgren was stripped of STWU membership, the members of the “red” Gothenburg dockers branch of the STWU left en masse to join the SDU. The newly formed dockers’ union soon represented over half of the country’s dockworkers and the vast majority in Sweden’s largest port of Gothenburg. Along with their experiences in the increasingly bureaucratic STWU, dockworkers were also influenced by the industrial ferment and political radicalization of the late 1960s and early 1970s. Although nothing like the French general strike of 1968 or Italy’s ‘hot autumn’ of 1969, Sweden witnessed its own strike wave in late 1969 and early 1970. An outbreak of wildcat strikes began with a successful week-long strike of Gothenburg dockers in November 1969. This action sparked a three-month wave of wildcat strikes which saw miners, forestry workers, metal and auto workers, airport baggage handlers and civil servants all taking action. It was another strike by Gothenburg dockworkers in February 1970 that became the last major action before the strike wave petered out. Along with industrial unrest, Sweden also saw its share of political ferment. 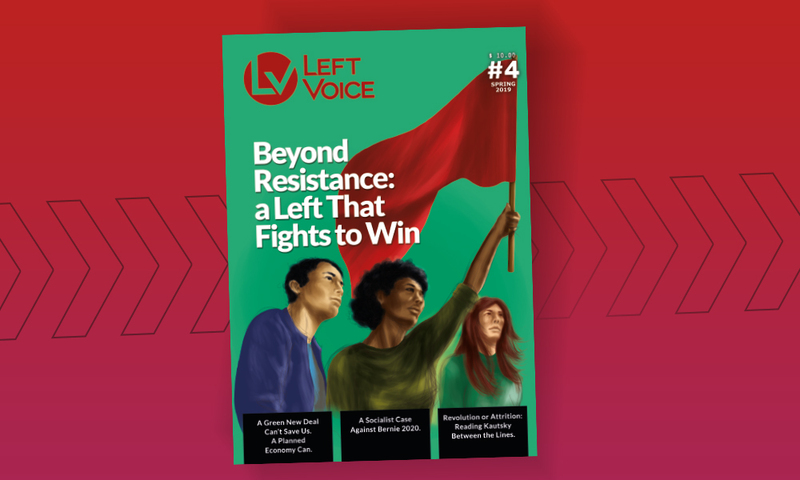 When the Eurocommunist majority of the 16,000 member Communist Party changed the party’s name in 1967 to the Left Party – Communists (VKP – Vänsterpartiet – Kommunisterna), pro-China forces left the VKP and established a new Maoist organization. This organization, later known as the Communist Party of Sweden (SKP – Sveriges Kommunistiska Parti), came to dominate the militant wing of the anti-Vietnam War movement. Splits in the VKP’s youth wing gave birth to other new groups such as the “soft-Maoist” Communist League (FK – Förbundet Kommunist) in 1970. Both the SKP and FK quickly grew to around 1,500-2,000 members each. Some of this ferment was felt on the Swedish waterfront. By the early 1970s, a number of influential VKP members such as Karl Hallgren were well established on the docks, the Maoist SKP and other radical groups had a number of dockworker members, while the “proletarianization campaign” of the FK was encouraging radical students to get jobs in the factories and on the docks. One thing was certain. Any new dockers’ union formed in this climate of industrial and political unrest was bound to give the employing class nightmares. While the influence on the SDU of this militancy and radicalism cannot be denied, it was what dockers had endured during their time in the STWU that was most telling. SDU members sought to ensure that the decisions of elected dockworker representatives would never be ignored and overruled by an unaccountable leadership again. The real power in the SDU resides in the thirteen local autonomous branches of the union, not in a national apparatus. Decision making in the 1,400-strong union is bottom-up not top-down, with all important decisions on negotiations, signing agreements and taking industrial action being taken by vote at membership meetings. All elected SDU officials are required to continue working in their jobs on the docks while they fulfill their representative duties. The salary of the SDU National President is set by the SDU Congress, must reflect the salaries of rank-and-file dockworkers and only rise in line with industry pay rises. These measures of democracy and accountability stand in stark contrast to what the rest of the Swedish union movement experiences. Along with its unique member democracy, the SDU is also known its militancy. The union earned this reputation during its first two major struggles for a separate collective agreement in 1974 and 1980. The fledgling SDU was first tested industrially during wage negotiations in 1974. Both port employers and the STWU knew how important this would be for the new union, and the STWU knew it was under pressure to achieve a decent agreement for dockworkers. Both the SDU and STWU held separate one-day strikes. But realizing that it would not win the right to sign collective agreements without a serious fight, the SDU began an indefinite strike in late April 1974. While the SDU was out, the STWU signed an agreement which gave dockers a pay rise six times that of agreements signed by other unions that same year. After 19 days, SDU members reluctantly voted to return to work. While the SDU’s strike helped all dockworkers obtain substantial pay rises, the union was left without its own agreement with the port employers. The SDU fought again for a separate agreement in 1980. An indefinite strike began on May 13, but the strike was soon wracked by the traditional divide between the smaller, more conservative and generally northern ports and the larger militant ports such as Stockholm and Gothenburg in the south. One small port refused to go on strike and another opted to do limited work. While dockworkers in the major ports in the south fought on, other northern SDU departments started trickling back to work. After six weeks on strike, June 12 saw SDU dockworkers return to work. Dockers had won decent wage rises, but the SDU was again unable to secure its own separate agreement with the employers. Around the world, the SDU is perhaps best known for its one-week blockade of Israeli shipping in June 2010 after commandos stormed the Gaza Freedom Flotilla a month earlier. But the union’s track record of international solidarity action runs much deeper than this. Within two years of its formation, the SDU took action against the Chilean military dictatorship of Augusto Pinochet. In the autumn of 1974, the SDU refused to unload any Chilean copper for one whole month. On March 1, 1976, the SDU launched a three-month blockade of all Chilean imports to Sweden, and exactly one year later, the SDU launched another three month blockade, this time stopping Chilean imports to Sweden and Swedish exports to Chile. In 1985, the SDU targeted the apartheid regime in South Africa. For all of September, the union refused to unload any South African goods. However, on September 8, 1985, STWU members broke this blockade when volunteers called in for weekend overtime unloaded South African goods in the port of Helsingborg. While many STWU members supported the apartheid blockade, it is believed that STWU leaders urged local delegates and others to unload the cargo, a decision fueled in part by continuing rivalry between the SDU and STWU. From July 1996, the SDU took weekly industrial action in support of the sacked Liverpool dockers which left all Atlantic Container Line and CAST containers immobilized on Swedish docks for 24 hours at a time. 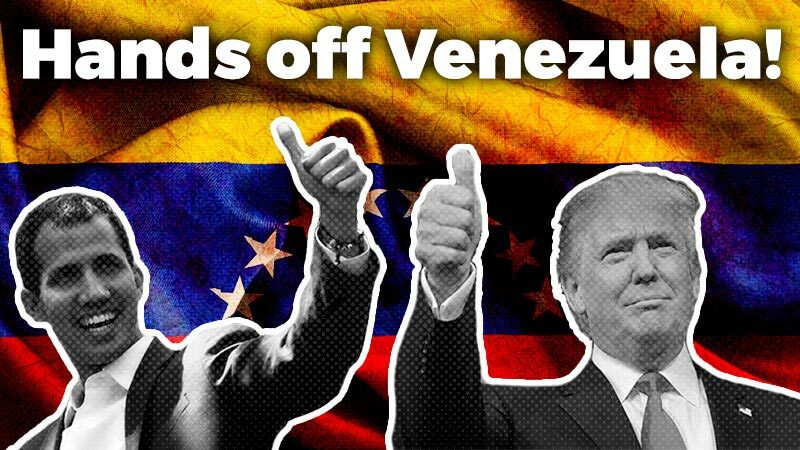 This tradition of international solidarity still continues today. One recent example is the 24 hour blockade in Gothenburg in May 2012 held in a show of support for striking dockers in Tilbury outside of London. While internationalism seems to come easy for the SDU, becoming part of an international network of transport workers has proved more difficult. When the SDU tried to join the International Transport Workers’ Federation (ITF) in 1974, the STWU stood in its way. The STWU leaned on a “national sovereignty clause” in the ITF constitution which was first introduced in 1946 in the lead up to the Cold War. This clause gives existing ITF members in one country the power to stop other unions from that same country from affiliating. So when the SDU expressed its intention to apply for ITF affiliation, it was quietly told that there was no chance of the union being affiliated. The SDU then became involved in attempts to build an international dockworkers network. A series of international meetings were held between 1978 and 1986, including one in Gothenburg in 1980. These efforts were revived after the defeat of the Liverpool dockers’ dispute in 1998. A conference held in Gothenburg in 1999 decided to establish the International Dockworkers Council (IDC), which was officially founded a year later. 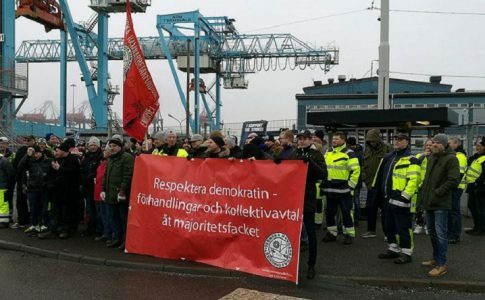 With its vibrant member democracy and its record of militancy and international solidarity action, the Swedish Dockworkers’ Union continues to be both a thorn in the side of the port employers and an example for other workers. Nevertheless, the SDU does have its problems. It is still plagued by the divide between the smaller, more conservative ports mainly in the north and the larger militant ports of Stockholm and Gothenburg in the south. In its 45-year existence, the union is yet to win the right to sign a separate collective agreement with the port employers. And it proved unable to stave off the privatization that enabled APM Terminals win its port lease in Gothenburg in 2012. However, compared to other unions in the Swedish labor movement, the SDU is a breath of fresh air. 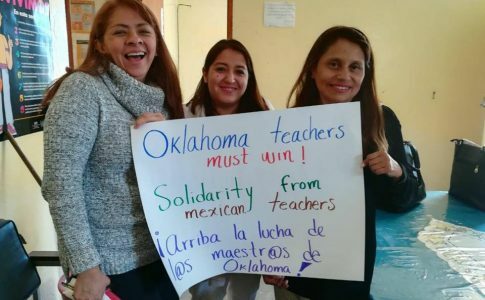 Dozens of Mexican teachers send solidarity to the walkout in Oklahoma.